Unfortunately, there are instances in which people become co-owners of real estate with other family members whom they do not necessarily get along with. Examples would include inheriting the property through death or after the end of a relationship in which both parties owned the home together. In these instances, one owner may want to simply end their interest in the real estate so that they can make a clean break. We understand that ownership of real estate is much different than other assets. People often have an emotional connection to the real estate that prevents them from seeing the “big picture” and moving forward with a sale. Specifically, one owner may want to keep a property in the family while others would like to sell. If the person who loves the property has the means to buyout the others, then a settlement outside of court is certainly the best remedy. However, that is rarely the case, if an agreement cannot be reached, a partition suit is the legal remedy to such disputes. One owner may have every desire to purchase the property, but simply doesn’t have the funds to purchase or the creditworthiness to obtain financing. In a partition suit, the petitioner asks the court to determine the best way to “split” the property. Anyone who has a vested interest in the property can file the petition. Unless the property can easily be divided topographically, the most efficient way to accomplish the split is to sell the property and divide the proceeds. See Virginia Code §8.01-83. In my practice, we prepare partition suits with a substantial amount of legwork. The steps may vary from case-to-case, but it is important to start your case with sound facts and preparation. After attempting resolution through courteous documented communication, we recommend a title search which provides the history of a parcel, and we like to have a recent (within the past 12 months) appraisal. Additionally, we talk to local real estate agents about listing the property. Some realtors hesitate to get involved in court ordered sales due to the complication of disagreeable family members. Filing the petition is just the beginning, and the first court date is not necessarily the last. In a partition suit, prepare yourself for a prolonged process. Not only is the state of the market a factor, but the success of a court ordered sale relies heavily on the cooperation of all those involved. Getting back to the example above, if the relative who loves the property is currently residing on the property, he or she could make the sale very challenging by sabotaging the showing process. Obviously, action would be taken to mitigate such situations, but legal action requires time and money. Usually, it is in the best interest of the parties to come to a settlement without a final court order. However, there are certainly many instances where a party is uncooperative or unresponsive. 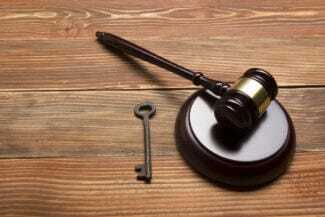 If the Virginia court finds that the property cannot be physically partitioned, the court would then order a sale of the property to a third party. A “special commissioner” is appointed to oversee the sale and is paid a reasonable fee from the proceeds. As offers are presented, the court may approve or deny the specific offers based on reasonableness. Once an offer is approved by the court, the property will be sold and the proceeds are typically placed into the court for a final distribution to the parties. Contact my office to discuss the circumstances of your real estate dispute. Written by Ryan C. Young, Esq. September 21, 2018 Ryan C. Young, Esq. March 30, 2017 Ryan C. Young, Esq.